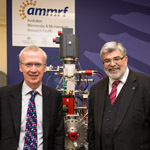 The AMMRF at the University of Western Australia (UWA) will double its capacity to help find new ore deposits, with the Federal Government announcing funding for a new NanoSIMS imaging and analysis instrument. 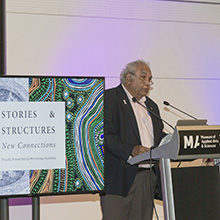 In August, Federal Innovation, Industry Science and Research Minister, Senator the Hon. Kim Carr announced $12.4 million from the Science and Industry Endowment Fund (SIEF) to provide instruments for the new Advanced Resource Characterisation Facility (ARCF). ARCF is being developed as part of the National Resource Sciences Precinct (NRSP), a partnership between Curtin University, CSIRO and UWA. This partnership aims to become a global centre for minerals and energy research. The SIEF money will provide a total of three new instruments, one to be built by CSIRO, an ion mass spectrometer for Curtin University and the geoscience-focused nanoSIMS at UWA. 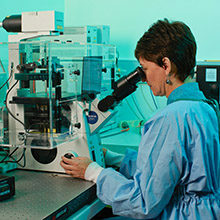 The two current ion mass spectrometers in the AMMRF at UWA are already used for research and exploration in the mining and resource industry along with a range of other applications in environmental and medical sciences. 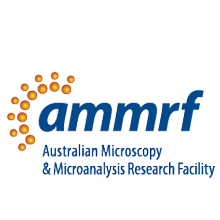 Having a suite of three world-class ion mass spectrometry instruments, with the associated concentration of expertise, will greatly enhance the AMMRF’s ability to generate results for the minerals and energy sector.